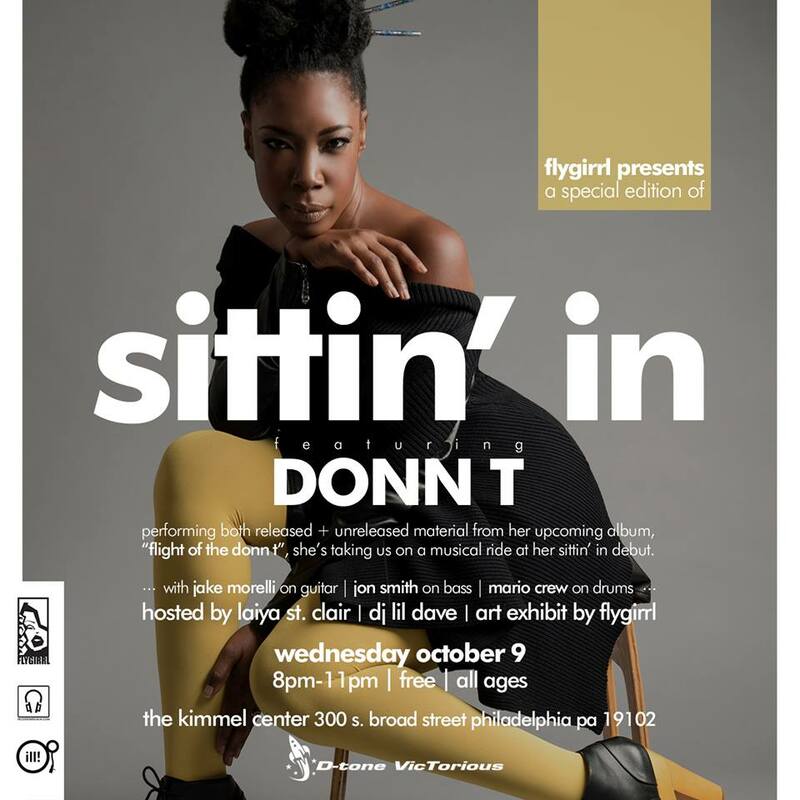 Flygirrl presents : Sittin' In w/ Donn T! Hosted by Laiya St. Clair with Dj Lil Dave! Flygirrl curated this session and has put together a performance that is long over due! Donn T [and band] will take us on a musical journey through her part and unreleased music from her upcoming album, "Flight Of The Donn T" for her Sittin' In debut. Warm up in the early part of the night with tunes by Dj Lil' Dave and host Laiya St. Clair! Plus, artwork by Flygirrl.